Due to illness, visitors, holidays and my car being off the road, I really haven't done much in regards to my volunteering and charity work. However as hubby pointed out last week, I've actually done rather a lot. It's just been internet based rather than physically visiting facilities. The large picture shows the current state of our garage. It is filled with donated items for the Santa Shoebox Project. Friends and volunteers have been round, wrapping boxes and sorting donations. I also act as a drop off point for friends for 2nd hand items they no longer require, I sort and donate to the appropriate facilities. Top right. Donations for Kungwini Welfare Organisation, it includes magazines for the residents to read and books collected rom friends, clothing, cushion inserts, lamp shades and other items for the work shop. Middle. Clothes for under 2s, bedding and towels and dummies for the Grace Foundation, who are in turn providing me with toys for children with Special Needs. Bottom 3 photos (L-R) A friend was offered 80 boxes of porridge, short date, did I know of anyone that could use it all? 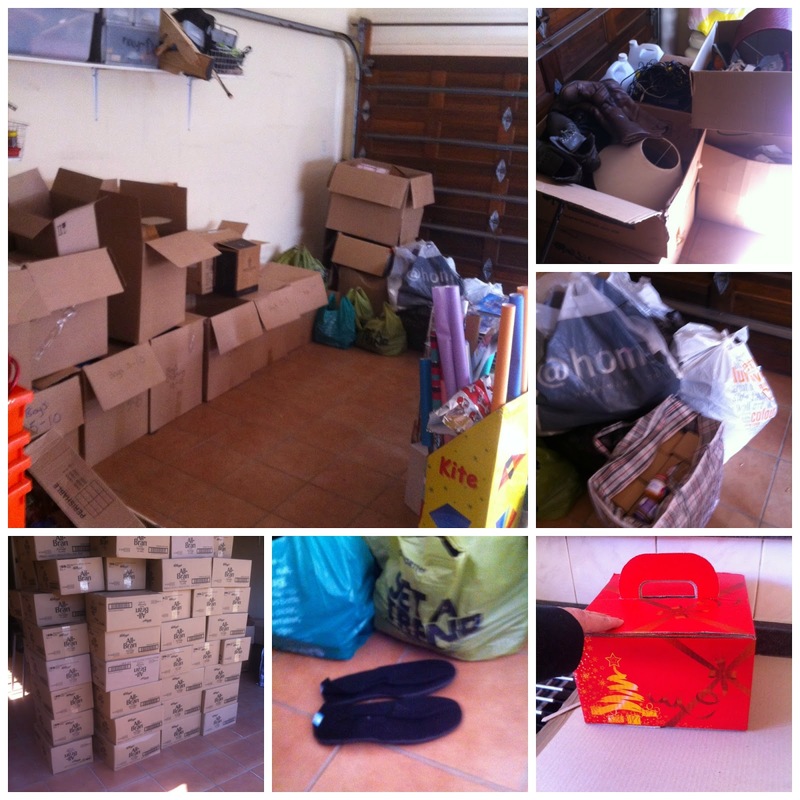 Half the boxes to Kungwini Welfare Organisation. The rest split between The Viva Foundation and 2 feeding schemes. In exchange for 20 of the boxes I received 100 pairs of various sized canvas shoes and the company who manufacture the boxes saw a tweet and have offered pre decorated boxes for the ShoeBox appeal. So all in all I've done rather a lot. I don't enjoy this side of it as much as I do the the actual hands on volunteering but every little helps. I am in awe, you've got a wonderful system set up, and I'm really impressed that actually a return offering is given to benefit someone else. Well done you. Well done! It's the admin part that seems to be as important as the actual hands on! Alcohol responsibility at social gatherings.